You have a lot of options for appliance repair services in the downtown Atlanta area. Don’t waste time and money on companies who can’t provide the customer service and expertise you deserve. When you need fast, dependable, and affordable appliance repair, contact It Is Fixed. We understand how important it is to get your appliances up and running again when they break down. You can’t wait a week for refrigerator repair service. That’s why we offer our full suite of appliance services every day of the week. We work nights and weekends so you’re never left hanging when you need help the most. It Is Fixed values your time. We will never ask you to spend your day at home waiting for a technician to arrive. Instead, we offer two-hour service windows. We’ll give you a call or send you a text when the technician is on the way so you don’t have to worry about missing your appointment. Our goal is to make sure the entire process is as easy as possible. At It Is Fixed, we offer fair prices and affordable service. Other companies serving Atlanta charge $50 to $100 just to walk in the door. We do things differently. We offer a free service call with every repair, but if you don’t choose to repair with us, the service call is only $39.95. Some companies like to charge for “extras” like milage or after hour fees. Our rates are the same every day of the week, even on holidays. In addition, we offer extra savings to customers who request an appointment online. If you use our form, we’ll take $20 off your final bill. Integrity is the hallmark of our business. The goal of our technician is to make sure you get exactly what you need. We’ll let you know if you’re better off buying a new appliance rather than repairing a unit that isn’t worth the investment. We care more about making sure you have an appliance that will last rather than making a few extra bucks repairing an old appliance that will just break down again. Our team of seasoned technicians are the best in the business. Each appliance repair specialist is field-trained, insured, licensed, and certified. 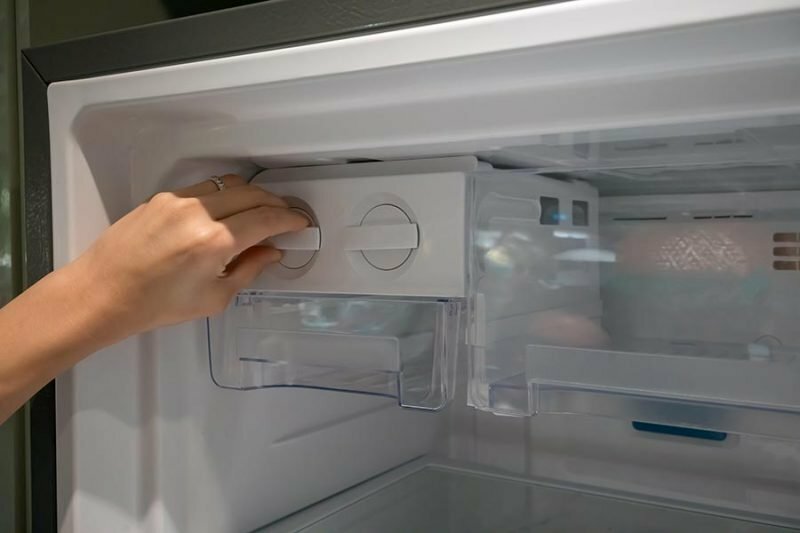 If your ice maker is on the fritz, or you need an oven repaired, we have the tools and experience to get the job done right. You don’t have to take our word for it. When you trust It Is Fixed, the quality of your appliance repair is assured. Every repair or service is automatically secured with a 90-day guarantee. We won’t rest until we know we’ve provided each customer with the best service possible. Most repairs are completed in an hour or less, but more complicated repairs can take several hours. We can’t lock in a price until we diagnose the issue. All our estimates are commitment-free, though. If you choose to go another route after receiving your estimate, you only pay the service fee. We understand you may need to consider a budget when scheduling services. Although not guaranteed, the following price list will give you an idea of the average cost for appliance repair customers pain in downtown Atlanta, Georgia. Whether you choose us for our great prices, excellent service, or expertise, when you choose It Is Fixed Appliance Repair, you know will get the service you deserve. We offer same day appointments everywhere in the Metro Atlanta area. Contact us today! It can be frustrating if your oven won’t stop beeping. The oven may just need to be reset, or the beeping may indicate a more serious issue. This troubleshooting guide will help you track down and resolve the problem. A washing machine can hold 15 to 30 gallons of water. 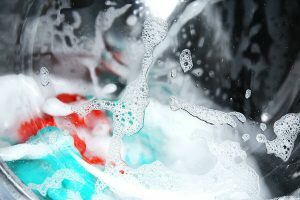 Manually draining your washing machine can take hours, so you want to make sure you fix the issue before you need to use your washing machine again. 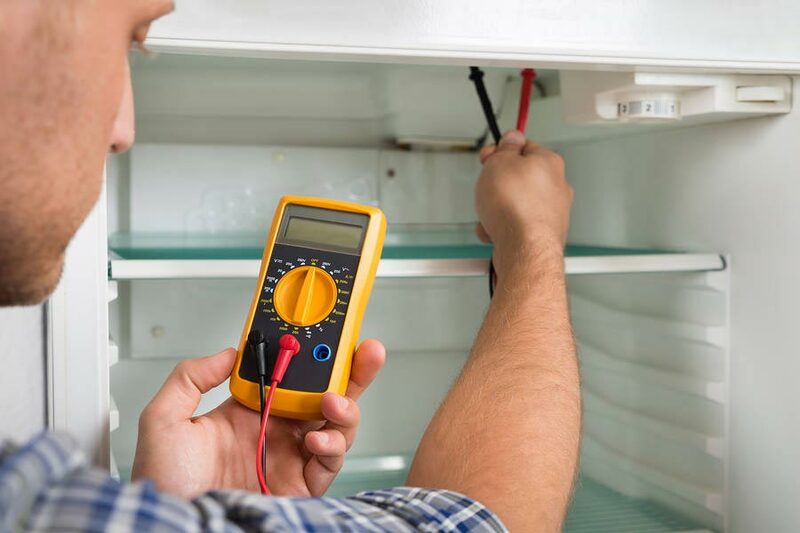 If your refrigerator or freezer isn’t getting cold, the issue may be the temperature of the room, a dirty compressor, or a faulty part. This guide will help you track down the culprit and find the solution you need. It Is Fixed is phenomenal!! Had this company out to repair two refrigerators and a dishwasher that another company failed to get it done. They not only swiftly AND accurately identified the issue but were just as quick and professional in repairing. Additionally, they are conscientious, courteous and prompt. We rated them 5 Stars because 7 wasn’t on the scale. These guys are great! A human picked up the phone immediately when I called, a technician was out to my house the next day, the problem with my washer was fixed quickly and for a reasonable price. They even worked around my schedule! I will definitely call them again when in need of appliance repair and will recommend to my family and friends. Thank you Jacob, Umid, and the guy who picked up the first time I called who’s name I don’t know. Keep up the great work! The stove top light fixture original to our home (50 years old?) had a toggle switch get stuck in the on position. Mots electricians did not want to touch a project this size and nature, and we did not want to replace the old Nautilus vent hood, but It Is Fixed said they’d be happy to do the repair. They sent out Mario was punctual, friendly and professional. He did a great job, was very organized, cleaning parts as he went and mindful that his work space is our kitchen— and he even did some proactive maintenance we did not think to ask for. Great work done right the first time. We would call It Is Fixed again in a heartbeat!